Kerrie at Mysteries in Paradise has started a meme in which bloggers are asked to write about their favourite “new to them” authors whose books they have read in the first three months of 2012. So far this year I have reviewed 18 books by such authors: George Arion (Romania), David Belbin (UK), Reed Farrel Coleman (USA), Maurizio di Giovanni (Italy), William Deverell (Canada), Y A Erskine (Australia), Keigo Higashino (Japan), Ewart Hutton (UK), Viktor Arnar Ingolfsson (Iceland), Anya Lipska (UK), Jassy Mackenzie (South Africa), Peter May (UK), Claire McGowan (UK), Ron McMillan (UK), Jenny Roberts (UK), Gillian Slovo (South Africa), S J Watson (UK) and Betty Webb (USA). Of these 18 books, I think that 11 are debuts and the remaining 7 are by authors who have written other books previously that I hadn’t read. My 2012 book review listing is one click away from my reviews of books by each of these authors. 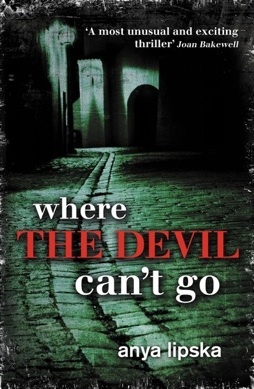 My “new to me” authors award for the first quarter of 2102 is a tie: Y A (Yvette) Erskine for The Brotherhood and Anya Lipska for Where the Devil Can’t Go. Both of these are in one sense police procedurals, but both add a distinctive twist to the genre and both provide a great sense of place and atmosphere. Both these authors are debut novelists: of the books I read by established authors who are new to me, I’d choose Peter May for The Blackhouse and The Lewis Man, both of which I read this quarter. Honourable mentions to The Flatey Enigma by Ingolfsson, Bone and Cane by Belbin, Desert Wives by Webb, Good People by Hutton and Trial of Passion by Deverell. Among the rest, there are only a couple I really didn’t like, so I’m encouraged to keep trying new (to me) authors’ books. See my post on new-to-me authors read in 2011. See Mysteries in Paradise for other book bloggers’ choices. This entry was posted in Books, New-to-me authors, Reading by Maxine. Bookmark the permalink. excellent work with so many new authors for you this year. I was a bit disappointed that I hadn’t read more – but with my long slump earlier in the year I went back to some old favourites of late. I’ll look out for Yvette Erskine’s second book, Bernadette, it really was very absorbing and assured. Peter May’s previous two series did not do too well in the UK, & he could not get The Blackhouse a UK publisher for ages – it first came out in French (he lives in France I think), and it wasn’t until it won two awards in Fracne that it found a UK publisher. Thanks for the recommendations Maxine. Having read your review of The Brotherhood earlier in the year it’s on my list of things to look out for. It struck me just now that I’d never suspect it was Australian from the cover. I also thought the cover looked as if it was snowing, which it wasn’t in the book. The cover does let the book down a bit, I think, I thought it was uninspired. I don’t like the cover much either but I have to say the coldest most miserable place in Oz is Tasmania in the winter. It’s a spectacular place too (one of my very favourite parts of the country) but boy it can get cold – there’s nothing between it and Antarctica so the winds can be brutal. I have the Lipska to read next. I liked Belbin a lot and am glad to see he has a third book in the series on the way. I started The Blackhouse, but found it didn’t grab me, despite it seemingly being the sort of book I’d like. I will give it a second go, though. I haven’t read the second Belbin yet but it is out in print soon – I don’t want to pay £5 for the Kindle version, would rather wait. The Blackhouse is not a great crime plot and is very slow, I was surprised to like it, I think it was mainly because I got so absorbed in the atmosphere/way of life on those islands. Great list, so good to see so many new authors and recommended authors. The Brotherhood is my next book to read — or is it A Few Right-Thinking Men? I’m torn. Oh, well, glad to see this list and will add more to my lists. Need to do a refresher read of the reviews on a few. Wow! No wonder my TBR mountain range is so huge. This is one reason. I just read The Devotion of Suspect X and I think I give it a higher rating than Petrona did. I liked it; it was unusual for a Western reader, but it certainly told of alienation, loneliness and lost friendships, in an interesting way. I also just read All Cry Chaos by Leonard Rosen, a multi-plot if ever there was one, with international conspiracies, chaos theory and fractals, finances, family, and descriptions of rural France and Alpine regions. I liked it a lot, the main character especially, his story. The math and universal theories were a bit overdone, but they reflect one character’s theories. A few made me say “hmm,” but I still liked the book and characters and sense of place. A very complicated book. Some moral dilemmas for the main protagonist between job and family, raising some serious questions on how far a job should go? Thanks, Kathy, I’ll look out for that Rosen book. I thought Villain a better depiction of life in Japan than Suspect X, which I found very sparse and narrow-focused. But that’s the joy of reading (and online reviewing), everyone is different and one finds lots of good recommendations! Thanks, Margot. The Brotherhood has not been well publicised in the USA or UK but I hope it will get a publisher in both those regions as it really deserves a wider audience (I bought the Australian edition which amazingly was available on Amazon UK, unlike many local (to them) books that Bernadette and Kerrie review. Thanks, Ken. Glad you enjoyed Stef Penney. I agree that it is all too tempting to stick to authors one likes….I know I do it, but I think I’ve got to the point where I am up to date with many of them so I am forced to take some chances! I fancy reading both the debut writers that you’ve highlighted and they’re both on my wish list. Peter May you have already introduced me to and I have enjoyed both books. I learned something about Japanese society that I didn’t know, although I picked up smatterings of some of the same social isolation from Miyuki Miyabi’s books and from Natsuo Kirino. I will read Villain, too. On the Rosen book, since I finished it last night, I thought the science in the denouement was a bit far-fetched, so for anyone who looks hard at hypotheses, one has to raise one’s eyebrows a bit. And the ending was a bit overdone, but overall it’s a good book, with a great protagonist, Henri Poincare, who is smart, courageous, principled and has a wonderful family. Some sad parts, true. Far-fetched science, sigh! How familiar. I might still give it a go, though, Kathy, thanks. Maxine: I admire the breadth and depth of your mystery reading. I know I would love to get several of the books but buying 14 books a month ago while in Florida and Minnesota has created a temporary vow to buy less for awhile. I look forward to your next instalment in 3 months when I hope to be buying more freely. Oh I know just how you feel, Bill – it is so hard to control the influx of books!